AktiMate | Reviews and products | What Hi-Fi? These feature-packed, desktop speakers look great on paper, but how do they perform on the big stage? 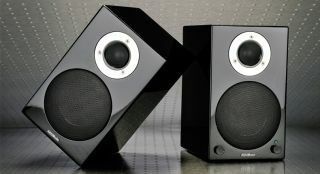 Best desktop speaker, Awards 2012. If you’re comfortable with the size, then there’s no arguing with the sound.